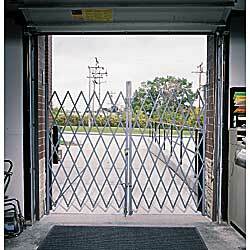 Material Handling solutions is your source for security gates and otherÂ Â commercial safety equipment.Â Protect your business from theft and break-ins with our flexible security gates. 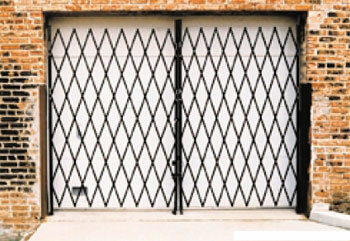 We carry steel folding security gates,Â safety and mazzanine gates and door gates.Â Â Steel folding security gates provides security, ventilation and visibility for dock doors, lift-up doors, hallways and entranceways. 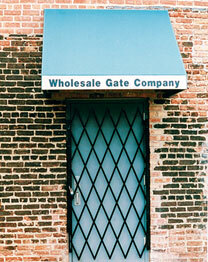 We provide nationwide delivery and installation in Los Angeles, Houston, Dallas, Chicago, Miami, Atlanta, New York and almost every metropolitan area.Â They are used by manufacturing and warehouse facilities, retail and distribution centers, education and health care institutions and in homes and offices. If you have any questions please call toll free and one of our specialists will be happy to assist you.